4.1 out of 5 based on 37 bloggers and 3 commenters. 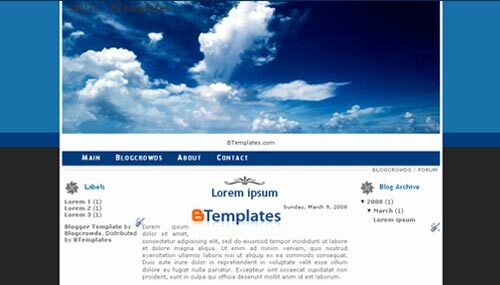 Sky3c is a free blogger template with 3 columns and left and right sidebars. Excellent template for blogs about nature or photography. i want this template but when it has loaded … it says that has a mistake … and i dont know why… may someone help me? is it failed the template?